The days leading up to the opening night will be sheer chaos. The pressure is on. Opening a restaurant requires an array of essential things to complete before the big day. Training staff is one of them. Some restaurant owners would rather cut corners, scratch training to save money and time. There's no doubt money will be saved on labor costs but in the long run, avoiding this will not do anyone any favors. Untrained staff could mean a pile of costly mistakes and scenarios, which usually leads to losing customers and dealing with negative reviews. This could also lead to high turnover and wasting time and resources looking for new employees. 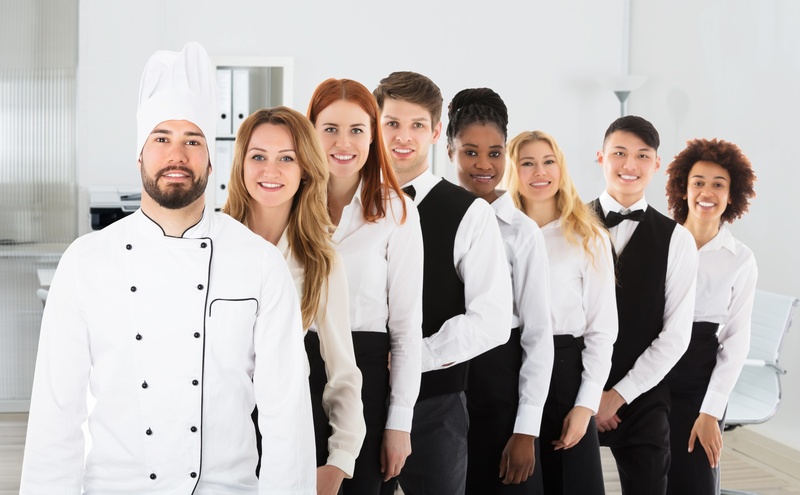 In an attempt to avoid some of these common errors, let's go through a list of things you'll need to cover that'll have you and your staff feeling prepared and confident before your restaurant grand opening. Do your research and make sure to include as much as possible. One super vital tip: if you have more than one location it's best to have a manager and a supervisor from another location train the new leaders. They already have the experience and knowledge that will help your new leaders succeed in their new roles. Schedule a meeting with them. If you are having managers and supervisors from other locations train new leaders make sure to have them create a list of important tips to share. Go over the employee handbook. Explain each section as thoroughly as possible. Assign each leader sections they will present to staff at the employee orientation. This will be a great opportunity to introduce all staff (including yourself, restaurant owner) and most importantly managers and supervisors. Have your leaders share their background and what their roles will be at your restaurant. Be prepared to answer any questions, most likely your new employees will have plenty. Have staff take a tour of the restaurant including all areas of the restaurant. It's important your staff is familiar with the restaurant they will be working at. The last thing you want is having staff running around looking for things. Save them time and show them where everything is placed. Train staff about food handling. How to prevent and handle injuries - such as burns, slips and falls, eye injury, sprains, strains, lacerations, punctures. Fire safety procedures - train kitchen staff how to properly operate restaurant equipment. Going over service standards provides a clear line of communication and expectations with your staff. It's the behavioral template that leads to consistent service. You need a vision of what service should look and feel like before you pass it down to staff. When you have created your service standards, go over service standard expectations. Train your staff how to greet customers, what steps to take when customers become upset and how to resolve issues. Staff will learn as they go when it comes to dealing with different customer issues because lets face it, you are not going to be able to cover every possible scenario. However, preparing them how to communicate with customers will help them provide a higher level of service. This is a must! I've lost count how many times I've been to a restaurant where the wait staff had very little knowledge about the menu. Just remember, your staff will be the face of your restaurant. Customers depend on them to have menu knowledge, get their order in correctly, get their meals out on time all while giving excellent service. Make a print out of your full menu (food and drinks). Pass out menus to each staff member. Even your hostesses. You want to make sure your employees are ready to answer any menu questions at any time. Customers rely on employees to give them suggestions or recommendations. It's a good idea to have taste testings. Then create a quiz or exam to test your staff's knowledge. You'll also want to train kitchen staff on cooking times and plating techniques. The stress mounts when your staff is running around on a busy day with their head cut off. Even more so, when your staff has no idea how to use the POS system. This will slow down each server and no doubt cause a domino effect. The service slows, the kitchen is getting food out late and seating is now backed up causing customers to become frustrated due to long wait times. Practice makes perfect. Print out a map of the your POS system. Have your wait staff study it. Schedule several practice days where employees are serving other employees. Have them take turns. This is will allow staff to become familiar and comfortable with the POS system. Need help with getting the word out about your restaurant grand opening? Kulture Konnect can help. Receive a free quote or contact us today (951) 479-5411, email us at info@kulturekonnect.com.